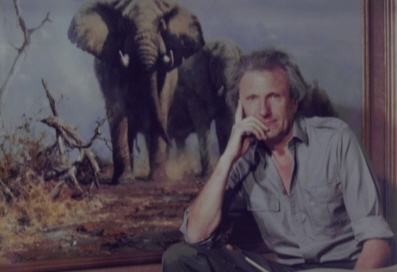 Wildlife artist David Shepherd has mentioned he feels "very proud and honoured" to have been awarded a CBE for his work to charity and wildlife conservation. The wildlife artist, seventy seven years old, collected the award from the Prince of Wales at a Buckingham Palace ceremony. have earnt over three million pounds for the benefit of wildlife protection. 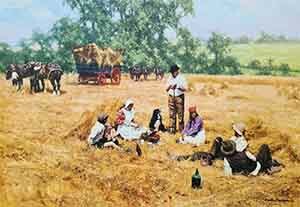 David started his career by offering some of his paintings of birds to local tourists whilst in Kenya. in a South African national park after a one hundred twenty a hundred and twenty year absence. Turning his efforts now to other species on the brink of extinction throughout the world. He stated that many wild animals risk becoming extinct, unless the ruling powers in the Far East worked harder to protect them. "There will not be a future for us except if we act very quickly to cease the destruction of all the various species around us that share this earth," he explained. "We seem to assume that whatever we do to the world, it will be fine, but it is becoming dramatically obvious that this is not the case".